The BluePRESSLine series is the best choice for cost-conscious beginners or for ambitious smallscale producers. Each single heat-press comprises of the same dedicated development, the technical know-how and the approved high-quality of manufacturing of the SCHULZE heat-press – and all of this at particularly favourable prices. SCHULZE heat-press differ substantially in quality and performance from cheap Far East startup models, however, the prices for high-quality SCHULZE heat-press are still very competitive. The BluePRESSLine offers the well-proven Economy Mode, which puts the heat-press into stand-by mode after a certain time of inactivity. 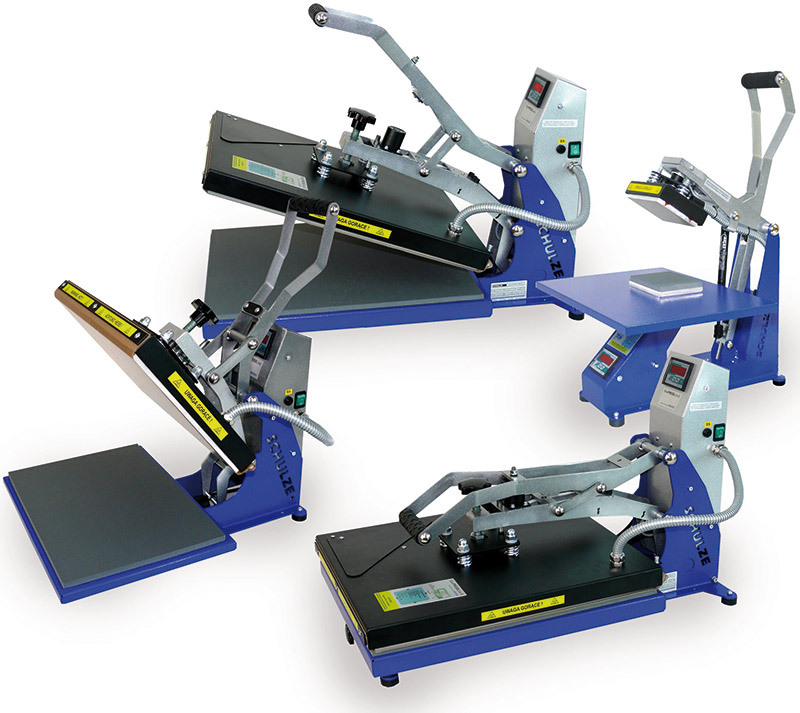 The heat-press are available with different sized base platen. Opening and closing of the press is done manually.